More brown trout coming to the net this week! We landed two today and lost at least one very big brown. 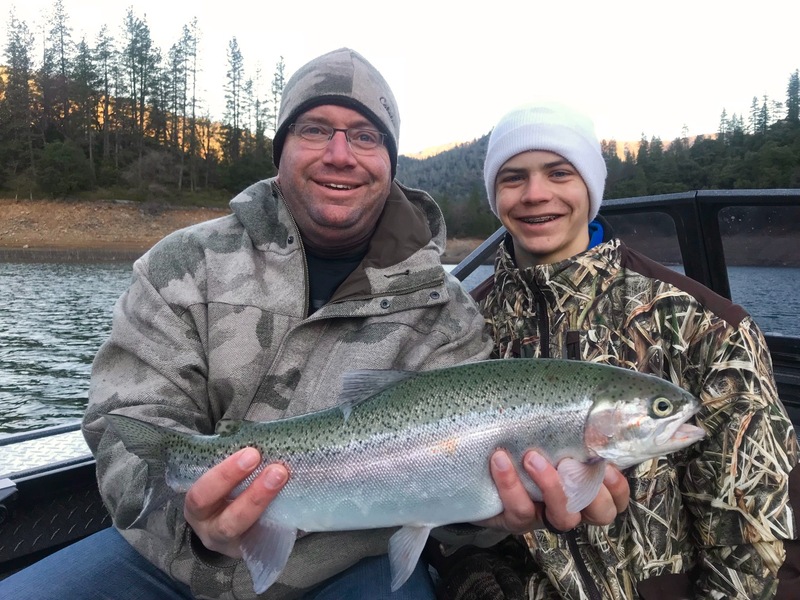 After a few days off the water to celebrate Christmas and my 52nd birthday, I was once again blessed with another great day on Shasta Lake. The weather was amazing and a nice breeze early in the morning produced a great trout bite. 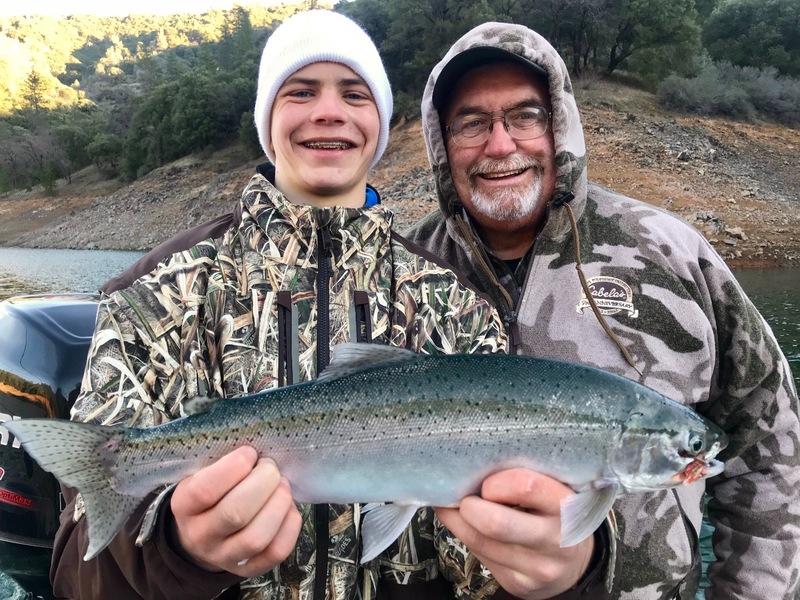 We hooked and landed two great trout within our first 5 minutes after setting lines. The first few hours of the day were very good and we caught a bunch of bows and browns up to 4 lbs. Although we hooked and lost the biggest fish of the day around noon, the bite had shut down earlier in the morning and never turned back on. It was a great day overall and todays crew took home some very nice fish for them to enjoy. 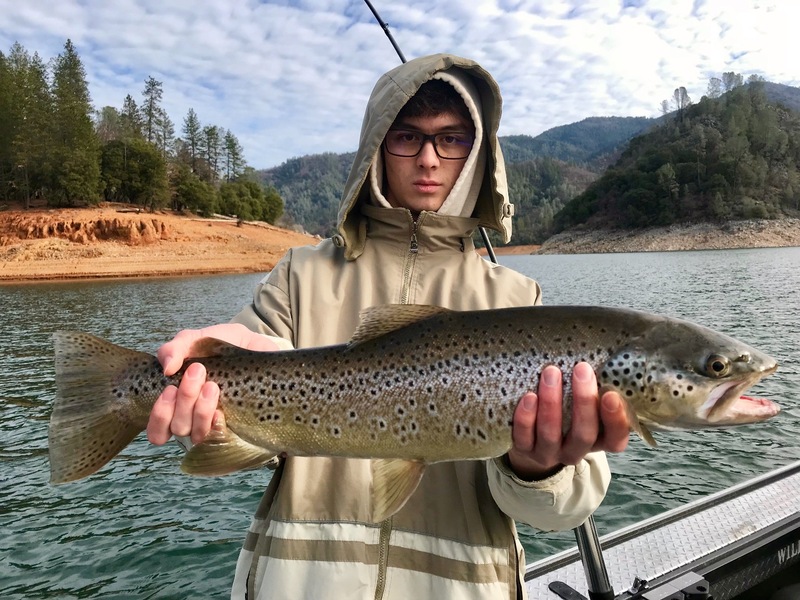 Shasta is showing no signs of slowing down and until we get some storms rolling through, fishing will remain quite good for this time of the year. Tight lines! 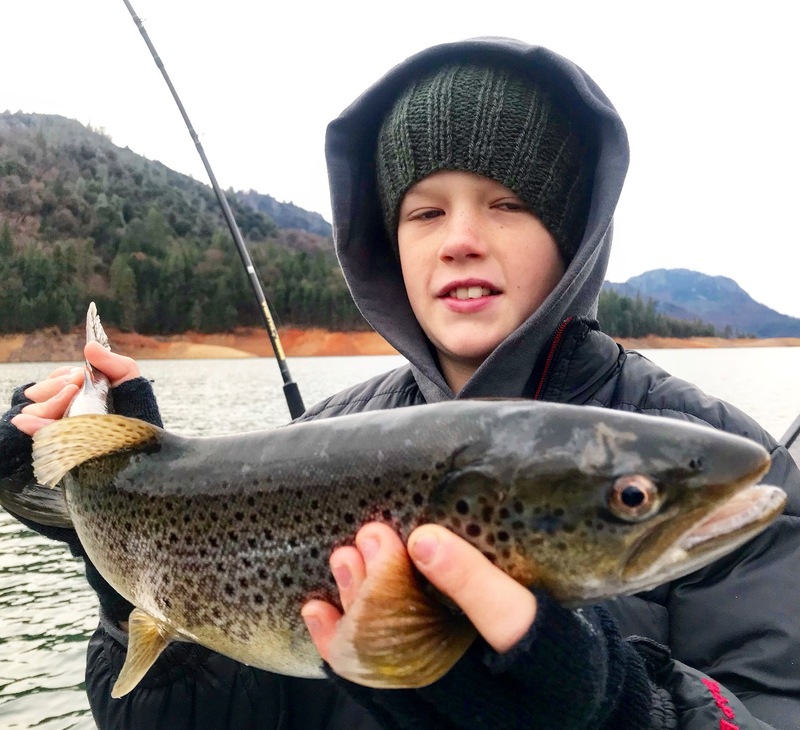 Shasta Lake is "Brown Town"! !